The International Society for Technology in Education (ISTE) has released an updated version of the Standards for Students. These standards emphasize the skills and qualities needed to engage and thrive in a connected, digital world. 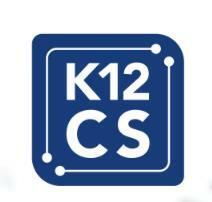 The standards focus on transformative learning with technology with students as empowered learners, digital citizens, knowledge constructors, innovative designers, computational thinkers, creative communicators, and global collaborators. Read more. National PTA released a white paper that focuses on the essential role of family engagement in increasing students’ access to opportunities in science, technology, engineering and math (STEM) especially among girls and underrepresented youth. This paper is part of National PTA’s new STEM + Families initiative. Read more. National Grid’s Fundraiser Program enables schools to raise funds while teaching he community about energy efficiency and conservation. Participation is easy and each school keeps 100% of the money collected through the fundraiser. The program is targeted at grades K-8 but high schools and some youth organizations may also be eligible to participate. For more information, contact Bonnie Devlin at 1-413-355-0079 or bonnie.a.devlin@lmco.com. The 2013-14 Civil Rights Data Collection (CRDC) is a survey of all public schools and school districts in the United States. The CRDC measures student access to courses, programs, instructional and other staff, and resources — as well as school climate factors, such as student discipline and bullying and harassment — that impact education equity and opportunity for students. The U.S. Department of Education will release additional data highlights on key topics later in 2016. Read more. The National Assessment of Educational Progress (NAEP) administered the first-ever nationally representative assessment of technology and engineering literacy in 2014. Eighth-grade students were presented real-world scenarios involving technology and engineering challenges. Students were asked to respond to questions aimed at assessing their knowledge and skill in understanding technological principles, solving technology and engineering-related problems, and using technology to communicate and collaborate. Read more. 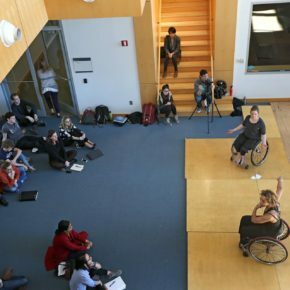 Alice Sheppard, a celebrated disabilities dancer and choreographer recently demonstrated the connection between physics and engineering, and dance as she performed on a prototype ramp designed and built by students at Olin College of Engineering. 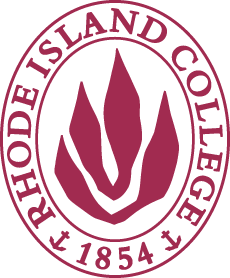 The idea for the ramp came from Sheppard, but the planning, modeling, and manufacturing all took place at the college. Sheppard plans to take the prototype plan to set designers who can build a finished product that she can travel with for her performances. Read more. The U.S Department of Education released the Nation’s Report Card on April 27, 2016. Data showed that 12th grade students’ average mathematics score in 2015 was lower than two years before and that a higher percentage of high school seniors failed to reach basic levels. Read more.